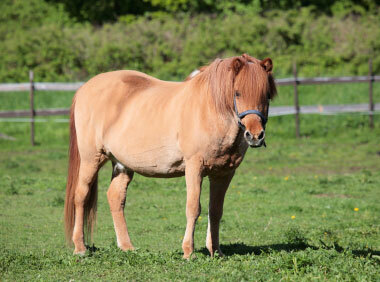 Cushing’s and Insulin Resistance are often confused and considered the same disease in horses. 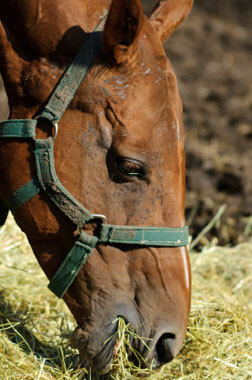 Insulin Resistance occurs when insulin no longer has a normal effect on the equine tissues. In the insulin-resistant horse, the pancreas releases insulin into the blood stream and the insulin arrives at the tissues and binds the cells; however the glucose enters the tissue cells at a much lower rate than normal. This leads to the horse feeling hungry, overeating and becoming obese. 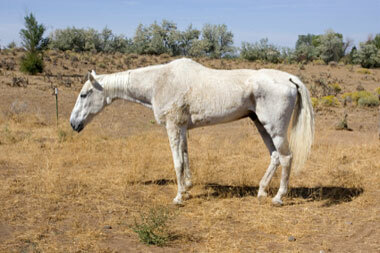 True Cushing’s occurs mostly in the older horse with abnormally elevated levels of ACTH and cortisol. Insulin Resistance is often a precursor to Cushing’s. 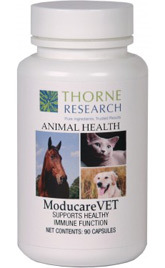 The following nutraceuticals or natural/herbal formulas can also provide effective treatment for your equines living with Equine Metabolic Syndrome/Insulin Resistance/Cushing’s Disease. Background: Predisposing factors include a history of excess vaccination and/or drug therapy, especially with the long-term use of steroid drugs. Stress, obesity, old age, lack of exercise, pollution, and poor-quality diets are also likely to be causal or predisposing. Symptoms: Insulin Resistance or Equine Metabolic Syndrome (the new, more accurate terms for what has been called Cushing's Disease in the past) is characterized by obesity, resistance to weight loss, lumpy fat pads and cresty necks, longer and dry hair, chronic laminitis (that is difficult to treat), chronic infections, insulin resistance, increased or decreased weight gain (often with uneven distribution of fat), and with increased urination and drinking, and poor digestion in the later stages. 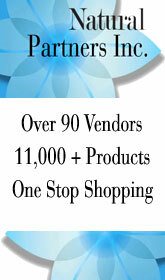 True Cushing’s disease does exist, but is much less common. Diagnostics: The diagnosis is not always straightforward and may require a combination of history and blood tests (insulin, glucose, ACTH, cortisol), depending on which symptoms are present. In many cases all blood work will be normal, yet obesity and unhealthy fat distribution are present. Special Notes: Treatment depends on the degree the horse is affected. Conventional drug therapy is not specific for EMS or IR, so these horses are much better supported with supplementation. Dietary control must be part of the treatment plan. Principles for Supplementation: Improve glucose metabolism, balance and support hormonal system, achieve weight loss, and improve digestion and metabolism. Background: Not very common in horses. Symptoms: PU/PD, polyphagia, unexplained weight loss and later, diabetic ketoacidosis. Diagnostics: Blood values are for glucose, insulin, glucose in the urine. Principles for Supplementation: To correct the insulin and glucose metabolism, stabilize the blood sugar and prevent secondary complications such as laminitis.